Description: Katsuro was taught this technique when he first began using his Mokuton release. It creates a small wooden object of the users choice from the cells of the user. It can only be used to create toys and blunt wooden weapons. Weakness: The weapons are rarely able to kill and each item takes time before it is created and leave Katsuro open for attack. Description: After performing the handsign, a wooden square pillar around four inches across juts from the ground and comes straight at his opponent. It can come from any direction that Katsuro chooses but it has to be within 4 meters of his opponent. The wood connects with enough force to drive the wind from someone and break a bone or two depending on where it hits. Weakness: It can only be used within a meter of his opponent and within 5 meters of himself. It makes noise when it comes out of the ground so his opponent can hear which direction its coming from and a Taijutsu basic is able to dodge it with relative ease. It can only go in a straight line. Description: Similar to Wood Release: Blunt Mace, Wood Release: Sharp Spear resembles a long pointed spear. Roughly two inches in diameter. The spear forms from the ground and travels towards the opponent at a fast rate. It comes out of the ground 4 meter away from his opponent. The spear is sharp enough and strong enough to go straight through an opponent. Weakness: It can only be used within a meter of his opponent and within 5 meters of himself. It makes noise when it comes out of the ground so his opponent can hear which direction its coming from and a Taijutsu novice is able to dodge it with relative ease. It can only go in a straight line. Description: After using the handsign, Katsuro slams his hands on the ground and a plant sprouts. It takes one full post for it to grow to a height of four feet. On the second post the Flower opens up and launches pollen teen meters in either direction. The pollen seemingly floats in the air instead of rising or falling. On the 3rd post anyone within the close experiences intense irritation in their eyes and throat. They find it difficult to breath. The next post, if they are still within the pollen they will find it difficult to see through the tears. The fifth post if they are still within the pollen their eyes will begin to swell shut until eventually they will be unable to see. Weakness: As with all AoE jutsu, Katsuro has a chance of being effected if he doesn't have proper protection from it. The plant can be destroyed at any time before it fully matures and the pollen is released. Wind can blow the pollen away, direct fire on the plant will destroy it. Destroying the plant won't destroy the pollen. After the plant is destroyed the pollen takes one post to disperse. Description: Similar to both Strong Fist and Gentle Fist, Neutral fist uses a series of grapples, holds, and strikes to end a fight as quickly, and as painless, as possible. When in an offensive stance, Katsuro will strike at his opponents trying to incapacitate them as quickly as possible. When in a defensive stance, Katsuro will attempt to throw his opponent to the ground and render them incapacitated either by rendering them unconscious or disabling their ability to fight. Weakness:It's a basic fighting style that has the potential to be bested. One post cooldown before Katsuro can switch between Offensive stance and the the Defensive stance or vice versa. Description: First Post: While in the defensive stance, Katsuro has the ability to throw his opponent to the ground using his hip as a fulcrum. Second Post: If the opponent is thrown to the ground, Katsuro transitions on top of his opponent and tries to get them into one of a variety of pins. Third Post: If Katsuro manages to get his opponent locked in a hold, Katsuro will try to maintain it until the opponent is unconscious or the hold is broken. Weakness: The attack can be broken at any point by outside interference or by the opponent breaking out of it. Someone of equal or higher taijutsu level can break out of the holds rather easily. Someone of lower skill level will have a tougher time but is still possible to break out of it. "I'm a bit icky on approving this as it is lethal AND it can come from behind someone.. I dunno, convince me?" Weakness: As with all AoE jutsu, Katsuro has a chance of being effected if he doesn't have proper protection from it. The plant can be destroyed at any time before it fully matures and the pollen is released. "What can destroy it? Wind techniques of course can blow the pollen away, add please." 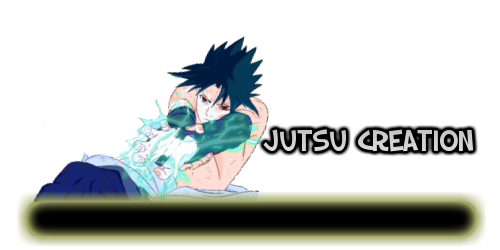 New Jutsu Added. Neutral Fist and Ground Game.